We were beyond thrilled to be joined by so many amazing moms, girls, friends and fans last week at our Be the Change launch party! Thank you to all who came out to celebrate with us. We then headed over the gorgeous Dependable Letterpress print shop in San Francisco’s historic Dogpatch district, just a short walk away from the food bank, for the party. If you’re ever in SF, be sure to check it out! Letterpress printing was one of the original means for amplifying creative civic action back in the late 1400s. Before then people wrote things out by hand so it was hard to spread the word quickly about new ideas! Martin Luther was one of the first activists to make major waves; the recently invented printing press was used to distribute his 95 Theses bulletin calling for the reform of the Catholic church, far and wide, bringing about the Protestant Reformation! 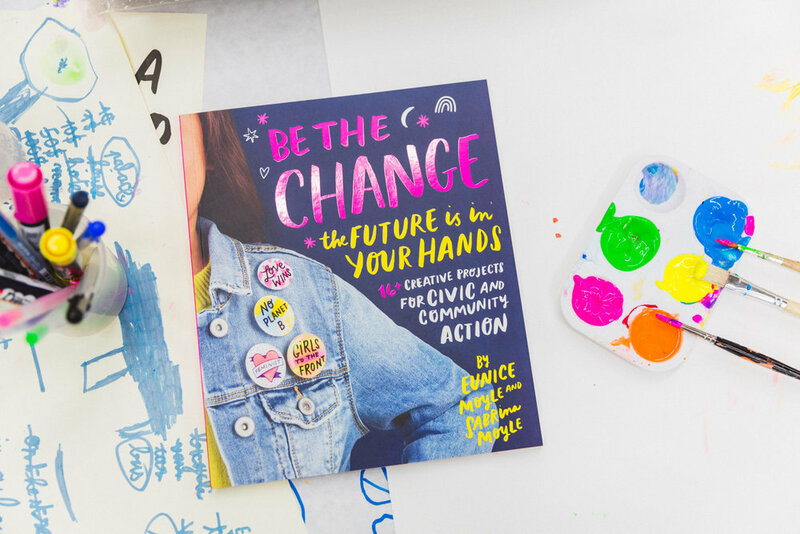 Girls, moms, and fans joined to create their own protest posters (which are now available on the WalkWoke app!) and postcards printed by Mixbook using awesome Sakura pens. Sabrina and Eunice signed books and gave a brief author talk about the inspiration behind Be the Change. We could not be more grateful for and inspired by everyone’s enthusiasm for Be the Change! This project has been a huge labor of love and our way of giving back to the world. 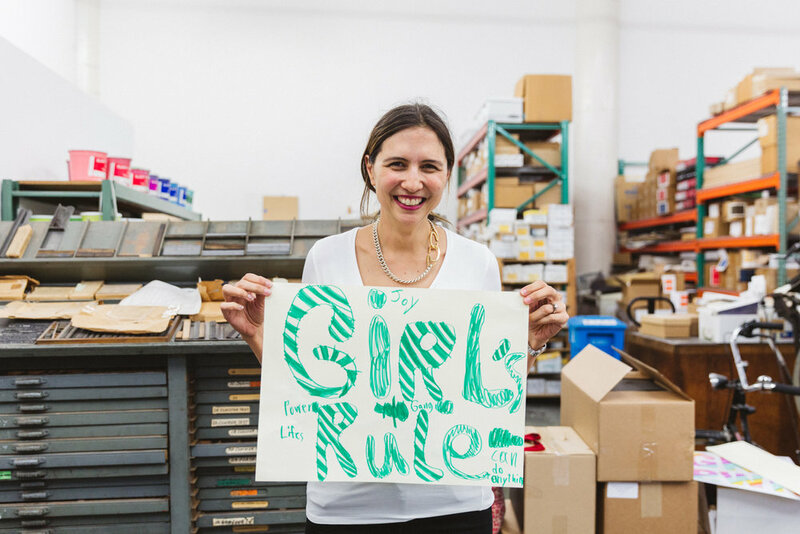 We hope it can inspire an entire generation of girls to be creative changemakers!